3 · In This Issue · [Misc.] · bg; notes on contributors. 25 · A Note on Raymond Puccinelli · [Misc.] · bg; accompanying artwork on unnumbered two insert pages. 2 · In This Issue · [Misc.] · bg; notes on contributors. 22 · The Roland P. Murdock Collection, Wichita Art Museum · Elizabeth S. Navas · ar; accompanying artwork on four unnumbered insert pages. 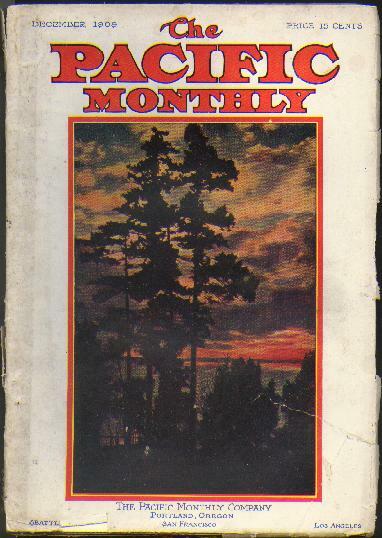 I assume the Robert Barlow with a poem on page 17 is the Robert Barlow (friend of HPL) and I assume the poem is already known about and reprinted (its not fantastic), but since there are no authorial notes in that issue I cant make the connection for sure. Details supplied by Denny Lien. nn · Three Drawings · Daniel Milhaud · il; on four unnumbered insert pages. (v3 #2 was the last issue published, of a total of ten). Details supplied by Denny Lien. fps. · A Study in Portraiture: Photograph of Indian Head Re-Photographed on Birch Bark · N. Pomway · fp; photo is of a Native American. 331 · Back to the Streets · Arthur A. Greene · ar; illustrated. 367 · Discord-A Sketch · Emma Roll Edwards · vi; given as by Emma Poll Edwards in the Table of Contents. 401 · Events · Anon. · cl; news analysis. 404 · Progress · The Observer · cl; news analysis. Only the fiction is listed. Details supplied by Steve Trussel. 657 · The Settler [Part ? of ?] · Herman Whitaker · sl; chapters XIII-XV. A standard size magazine on good quality coated stock. Its 128pp but with loads of additional advertising. It has a cowboy cover by E.W. Gollings. 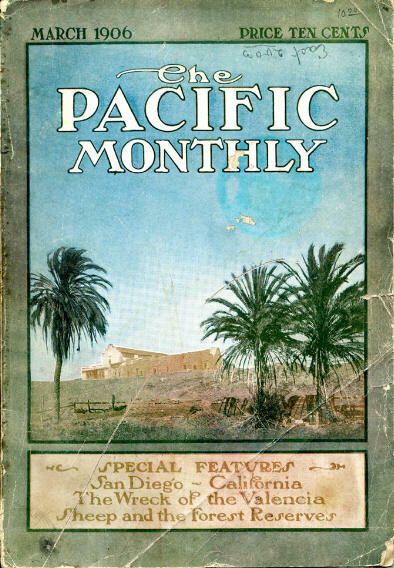 The contents are a mixture of fiction and general interest articles, a lot seem to deal with the wide outdoors or naturelike the opening article on Gulls, several features on Idaho, and a continuing series on the Central Pacific. The fiction content is as follows: Details supplied by Mike Ashley. Perceptions of Science Fiction. Details supplied by Denny Lien. 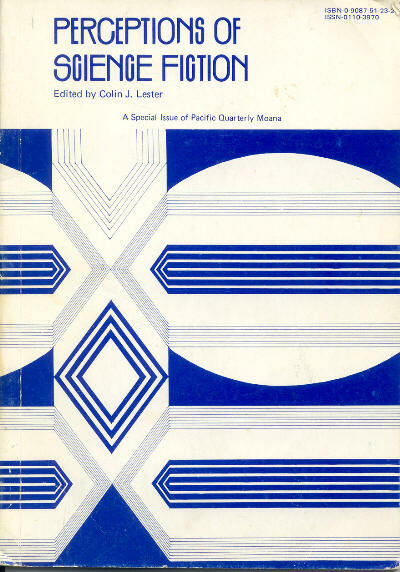 259 · Te Atea 1 · Katerina Mataira · pm Te Atea, Katerina Mataira, School Publications Branch, Department of Education 1975; in Maori. 269 · Te Atea 2 · Katerina Mataira · pm Te Atea, Katerina Mataira, School Publications Branch, Department of Education 1975; in Maori. 271 · Three World Paradigms for SF: Asimov, Yefremov, Lem · Darko Suvin · nf; a version of a paper given at the 1978 Science Fiction Research Association Conference. 301 · Among the Hominids at Olduvai · Michael Bishop · pm The Anthology of Speculative Poetry #3, ed. Bob Frazier, Bob Frazier 1978; for Bob Frazier. 306 · Closer, Closer · Vladimir Colin · ss; first published in French in the collection Les Dents de Chronos. 316 · Te Atea 3 · Katerina Mataira · pm Te Atea, Katerina Mataira, School Publications Branch, Department of Education 1975; in Maori. 327 · Illuminating the Darkness · Peter Payack · vi; described as a poem, but looks like a short-short-short; in prose and not a prose poem to me. 328 · Te Atea 4 · Katerina Mataira · pm Te Atea, Katerina Mataira, School Publications Branch, Department of Education 1975; in Maori. 351 · Te Atea 5 · Katerina Mataira · pm Te Atea, Katerina Mataira, School Publications Branch, Department of Education 1975; in Maori. untitled (A darkening sky and a whitening sea) · David Starr Jordan · pm; the top of the page, including the title if there was one, is missing. 47 · The Life of Joaquin Miller [Part 4 of ?] · Henry Meade Bland · bg; numbering error, as there were also pp.47 and 48 at the end of previous issue.